Are the times changing in Singapore? Two types of change are in the air – one is lapses daunting our image as a place where things work and, as a result, a current mini outbreak of self-questioning. So there you are – gahmen getting whacked by (gahment) MSM. And if you have been following forum page letters in the mainstream press, you will also notice mosquitoes biting the establishment, approved potshots curated to allow some letting off of steam. And, once in a while, some bigger mosquitoes will rear their heads to offer some stinging advice – such as asking the authorities to listen more – to solve a problem, like ensuring safety during military training. Brave would these souls be because you never know just who you might offend or who would push you to a corner with a window view (if you are that lucky) but where you would be doing practically nothing useful. This is my five dollars worth of crystal-ball gazing at some of the consequences of some of the more recent lapses in Singapore. The Health Ministry will continue to struggle with its problems the way it has been lurching from one crisis after another. It is pretty much damage control for the awful HIV data breach. But the damage to Health Minister Gan Kim Yong’s career may not be so easy to control. For all the good he and his team have done to strengthen the country’s healthcare system and they have done a lot, the data leak involving 14,200 patients and a love affair between Ler Teck Siang, former head of the Health Ministry’s National Public Health Unit, and his American partner Mikhy Farrera Brochez to whom the former allegedly leaked the confidential information, may just be too hard to overlook. The case of the SingPost worker who dumped letters he was suppossed to deliver may be easier to deal with. Errant workers can be found in any organisation. SingPost was quick to say sorry, promising to do better. As correspondence and banking are done online these days, the impact of lost letters is not like what it would have been years ago. It is the Singapore Armed Forces which will be under greater scrutiny from here on. CFC Aloysius Pang’s death has brought home the fact that ours is, after all, a civilian army. Families have been supporting the system since 1967. National service has been generally accepted as a way of life for Singapore males and their families. Without true-blue Singaporeans’ participation, there can be no credible armed forces. I think it is time for a complete review of the whole NS system beyond the issue of safety, first, to make sure Singaporeans are not short-changed in the process, and, second, to have a more level playing field when it comes to jobs (that they do not lose out to foreigners or even their female cohorts who do not have to serve national service for that number of years). Our true-blue males must never be multiply penalised – not getting places in universities and having to go abroad to pursue a degree at great cost to their parents while foreign students occupy places in our own universities and are subsidised by scholarships funded by local taxpayers’ money. How did our Singapore males end up in such a disadvantaged situation? We need to look at the NS concept very closely and update it. Can the initial basic training and development of the conventional fighting units be done in one year or one and a half years? If our doctrine is not to occupy but to deter (bloody the nose of anyone who threatens us), then our emphasis ought to be on precision destruction through modern weaponry. Smart Nation, Smarter Army. The reservist years should be spent refining this capability while continuing with the IPPTs. This country needs a lot of shaking up and a touch of the refresh button. Complacency has seeped into many facets of life here – military, public services, administrative systems, politics. Talking about politics, so what was Lee Hsien Yang doing? 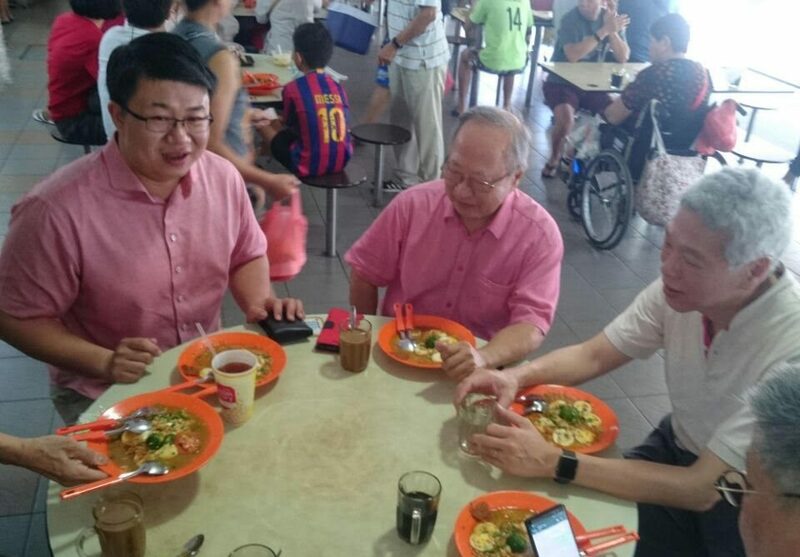 His second breakfast in public with Dr Tan Cheng Bock – first, three months ago in West Coast and on Saturday (Feb 2) in Ang Mo Kio – seemed to be signalling something. He shall not play by his elder brother Lee Hsien Loong’s agenda. He would have his own plans. The sons of Lee Kuan Yew are taking different paths on a journey of no return to the old days. Where it will end is very much up in the air. This may well be the mother of all changes in Singapore.